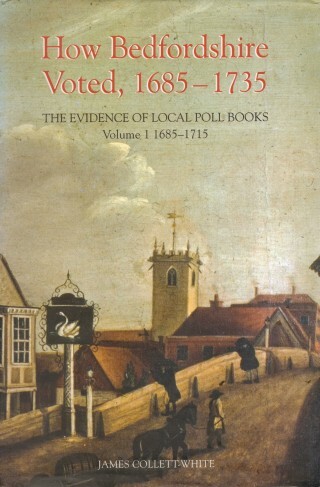 This is the first volume of BHRS’s series of late seventeenth and early eighteenth century poll books. Poll books tell the story of local people and their link with national history. This book is the first in a series by BHRS containing transcripts of the poll books for the county and borough seats of Bedford, and also includes some election accounts showing candidates’ expenditure. The introductory commentary gives an insight into political influences in Bedfordshire during the seminal period of English history from the Glorious Revolution to the accession of George I. It enables comparisons and political trends to be detected, including allegiances of regions of the county and parishes, the survival of the Tory party, the political allegiance of Anglican clergy and the role of Protestant nonconformists. Major landowners were important in Bedfordshire politics, but not dominant, and local gentry played a crucial role. The transcriptions list all those who voted in four county and one borough election. The 8,500 names, fully indexed, will give unparalleled information on local landholding and help family historians find ancestors between the 1671 Hearth Tax and the 1841 Census. 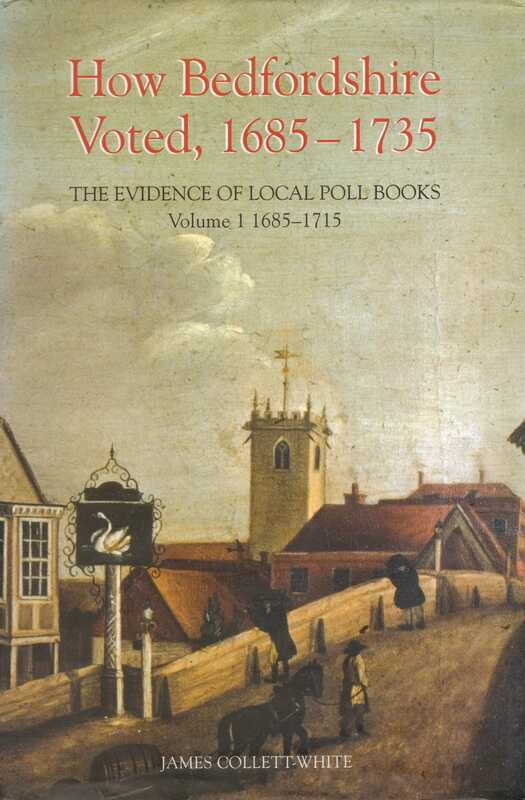 ‘Poll books have generally been overlooked as sources for social history, … the Bedfordshire Historical Record Society is therefore to be congratulated in perceiving the significance of such sources. … Collett-White provides an abundance of information about the political significance of [voters’] electoral behaviour. ‘ – W. A. Speck, English Historical Reviews vol. 123 (2008) p. 1039-40.